We bought this tiny run-down worker's cottage back in 2007. Remarkably the house, which was built pre-1927, is still in original condition. 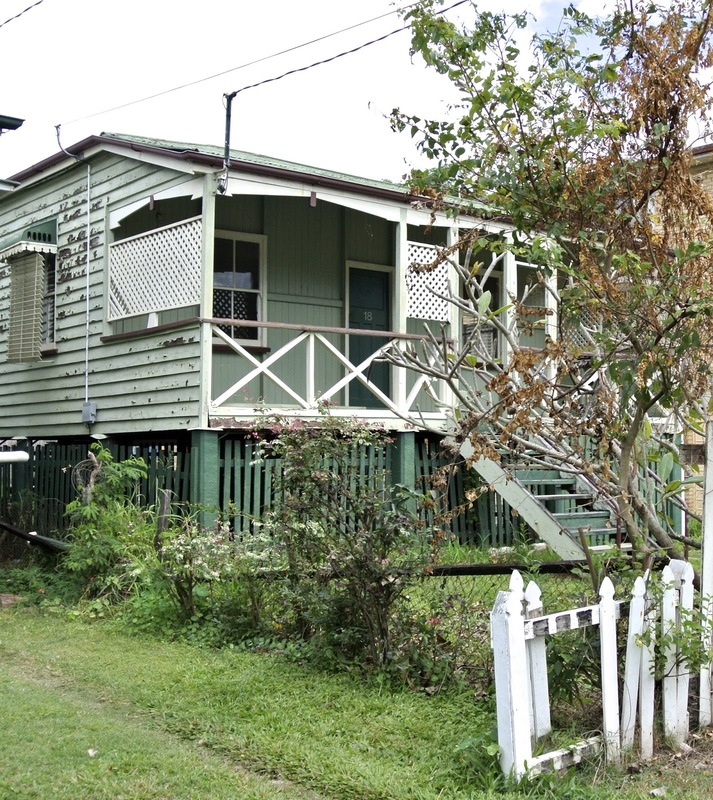 It is located in the inner-city suburb of West End, Brisbane and sits on a 405m2 lot. 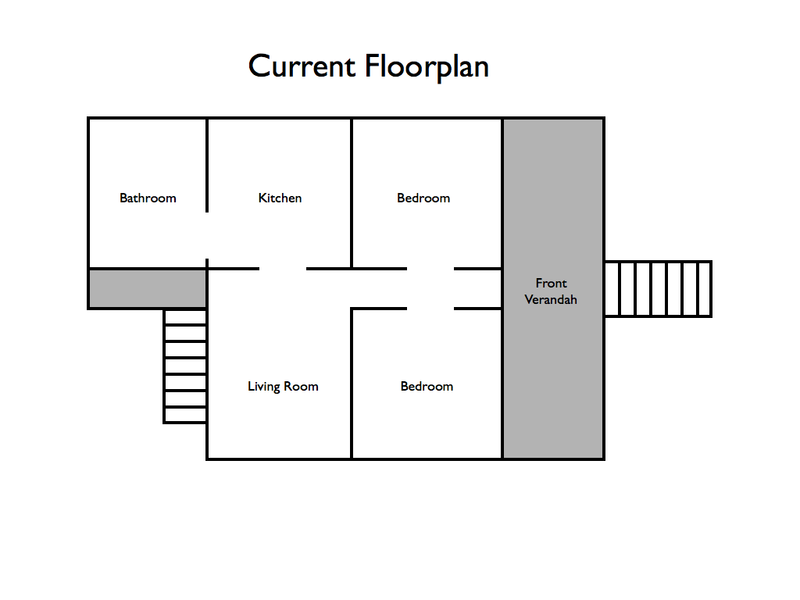 The house has a standard floor plan typical of that era - a front verandah, four rooms which lead off a central corridor and a lean-to addition at the rear which houses the bathroom. Designing the alterations and additions to this house has not been an easy task due to the strict building and design regulations. To begin with, the house is on a small lot and in a demolition control precinct, so the existing cottage had to be retained. The property is in an overland flow path and there is a stormwater drain which traverses the rear of the block. Neighbouring the house is a block of units, which could potentially lead to overlooking and privacy issues. Not satisfied with any of the proposed designs put forward, I decided to call in the professionals - someone who knew how to design something original, someone who had experience doing alterations and additions to houses on small lots, someone whose planning and design philosophies were in-line with mine, AND someone who could design something that would meet Council's stringent building and design regulations. We are fortunate enough to have the talented team from Owen and Vokes and Peters on board to design something really special for us. The site constraints such as restricted land area, height limits and streetscape controls have made this project very difficult, however it has also presented opportunities for innovation and design. Their speciality is in clever design and unique spatial planning - making spaces interesting and pleasant to be in AND feel larger than they really are. Stay tuned to view the latest concept designs . . .
Adrian Jepson the managing director of Gold Coast Kitchens has 32 years experience in the industry both in Australia and Europe. Adrian personally oversees every project from conception to completion. At Stylish Kitchens we take the time to understand the client's lifestyle, tastes and aspirations, and together with our ideas we will customise a design using the latest technology. Contact us today for the best in Gold Coast kitchen design. The cottage is in itself is of a great beauty whether it is old or new. Seeing the design of the cottage, it is awesome. Most of the cottage I see nowadays is mostly based on the service providing industry. Love to see you new image of this beautiful cottage. Very nice blog and very good idea of renovation. Keep updating.Renovations and alteration works almost always cost less than building a new home. If your living requirements have changed or you wish to improve the value of your home but without changing your address, home renovation is the answer. It's an ugly heap. To renovate this is to have rocks in your head. Waste of money. Nothing breathes new life into an aging home or business like a brand new coat of paint. Whether you’d like to brighten your rooms or give an entirely new quality to the exterior of the structure, https://dupaint.com.au/ painters Sydney offer you excellent quality service at a very affordable price.